Throughout history there have been many trials which have earned the title "The Trial of the Century." The Trial of Socrates and the Scopes Trial are prime examples. But there is one particular trial that was more than just "The Trial of the Century"; it is "The Most Famous Trial in All History." This trial revealed man's viewpoint of the Son of God. The destiny of all men who have ever lived or will live is inseparably linked to its outcome. It is the trial of Yeshua, Jesus the Messiah. Yeshua was tried before a "kangaroo court" and, like all such trials, it was preceded by a conspiracy (Matthew 26:3-5). The conspiracy included both Pharisees, the elders of the people, and the Sadducees, the chief priests. These were two opposing camps and there was a great bitterness between them. But they had one thing in common: animosity towards the claims of the Messiah. While Yeshua upheld the Law of Moses, He refused to uphold the traditions of either the Pharisees or the Sadducees. This was the reason He was hated by both groups. This hatred gave rise to a conspiracy against the Messiah, which was headed up by Caiaphas, the High Priest. The plan was to arrest Jesus in secret, away from the attention of the masses, and kill Him before the people became aware of what had happened. The parallel accounts in Mark 14:11 and Luke 22:5 clearly declare that the conspirators were glad when Judas offered the opportunity to apprehend Jesus. They quickly made a promise to pay him for his services. The amount agreed upon was thirty pieces of silver. Judas was paid out of the Temple money that had been designated for the purchase of sacrifices. Little did the conspirators realize that they were indeed purchasing a sacrifice with Temple money, for when the Messiah died, He died as the sin-sacrifice for all men. The thirty pieces of silver had further meaning. According to Exodus 21:32, this was the legal price of a dead slave. If a man's ox gored a neighbor's slave to death, the owner of the ox was to pay the owner of the slave thirty pieces of silver. Thus, the leaders of Israel held the ministry of the Messiah to be the value of a slave. Yet at the same time, unknown to them, these leaders were fulfilling an Old Testament Prophecy. Zechariah 11:12 clearly states that His price would be thirty pieces of silver. The Messiah actually underwent two trials with three phases each. First came the religious trial where the charge was blasphemy; then came the civil trial where the charge was sedition. By the time of the Messiah, Judaism had developed a large body of law controlling every facet of Jewish life. In the Scriptures this is referred to as the tradition of the elders (Mark 7:3). Within this massive body of law were the commandments that dealt with the manner in which the Sanhedrin was to conduct a trial. The main thing that the Pharisees and Sadducees had against the Messiah was His refusal to accept the traditions as being authoritative and binding. Yet they themselves were guilty of the very thing for which they condemned the Messiah. In trying to bring about the speedy death of the Messiah through a kangaroo court, they violated a number of their own laws. There was to be no arrest by religious authorities that was effected by a bribe (Exodus 23:8). There were to be no steps of criminal proceedings after sunset. Judges or Sanhedrin members were not allowed to participate in the arrest. There were to be no trials before the morning sacrifice. There were to be no secret trials, only public. Sanhedrin trials could only be conducted in the Hall of Judgment of the Temple Compound. The procedure was to be first the defense and then the accusation. All may argue in favor of acquittal, but all may not argue in favor of conviction. There were to be two or three witnesses and their testimony had to agree in every detail (Deuteronomy 19:15). There was to be no allowance for the accused to testify against himself. The High Priest was forbidden to rent his garments (Leviticus 21:10). Charges could not originate with the judges. They could only investigate charges brought to them. The accusation of blasphemy was only valid if the name of God itself was pronounced. A person could not be condemned on the basis of his own words alone. The verdict could not be announced at night, only in the daytime. In cases of capital punishment, the trial and guilty verdict could not occur at the same time but must be separated by at least 24 hours. Voting for the death penalty had to be done by individual count beginning with the youngest so the young would not be influenced by the elders. A unanimous decision for guilt shows innocence since it is impossible for 23-71 men to agree without plotting. The sentence could only be pronounced three days after the guilty verdict. 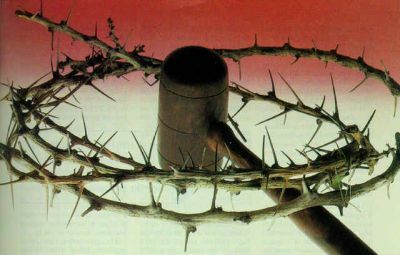 A person condemned to death could not be beaten or scourged beforehand. Judges were to be humane and kind. No trials are allowed on the eve of the Sabbath or on a feast day. The first of the three phases of the religious trial was before Annas (John 18:12-14, 19-23). The purpose of this particular trial was to establish a religious charge. The first phase of the religious trial was very short. It ended in failure, for it produced no specific charge upon which the Messiah could be tried in a Sanhedrin court of law. As a result, Annas gave up and sent Yeshua to Caiaphas for the second phase of the religious trial (Luke 22:54). Members of the Sanhedrin came into Caiaphas' house, ready to try the Messiah. The Sanhedrin was composed of 71 men, of whom 24 were chief priests, 24 were elders, 22 were scribes, and one was the High Priest. For the Sanhedrin to have a legal trial there had to be a minimum of 23 men and there is little doubt that they had at least that many. However, the entire 71 were not present, for it is clear that two of the members were absent: Nicodemus and Joseph of Arimathaea (John 19:38-42). The initial stage of the second phase of the religious trial began with the seeking of witnesses (Mark 14:55-56). After several attempts the religious leaders managed to come up with two witnesses who seemed to be saying the same thing (Mark 14:58). But as the other witness spoke, he gave a slightly different account (Matthew 26:61; Mark 14:59). By now Caiaphas was frustrated and wished to take the matter into his own hands. He challenged the Messiah to answer the accusations (Matthew 26:62). Yeshua stuck to His rights as a defendant and refused to answer. It was at this point that Caiaphas placed Jesus under oath (Matthew 26:36). When Yeshua affirmed His Messiahship (Matthew 26:64), the Sanhedrin responded in such a way as to break a number of commandments (Matthew 26:65-68). The second phase of the religious trial ended in mockery and with the second of several mistreatments of the Messiah (Luke 22:63-65). The final phase of the religious trial was only an attempt to legalize an illegal proceeding. But nothing could rectify the many illegalities which had taken place in the first two phases (Luke 22:66-71). The very attempt to legalize an illegal proceeding was filled with further illegalities. With this the religious trial of Messiah came to an end; the charge was blasphemy, which carried with it the death penalty.